The session will start with a briefing on what Brexit will mean for employment practices of small employers, plus other employment law developments that may affect you in 2019. Then we’ll have the main event – the Question Time panel session. This is your opportunity to put your questions on any employment law / HR topic to the panel of top employment lawyers from TC Young Solicitors, Shoosmiths, and McGrade & Co . It’s rare to get such a wealth of expertise in one room, in a relaxed and informal setting. This is a half-day session starting at 10am, with registration from 9.45am. Lunch is not included in the ticket price, but you are welcome to use our fabulous Albany Café for lunch after the event, or breakfast before it. Cancellations 7 days or more before the event will be refunded. No refunds for cancellations less than 7 days before the event. Alternatively you can send someone else in your place. 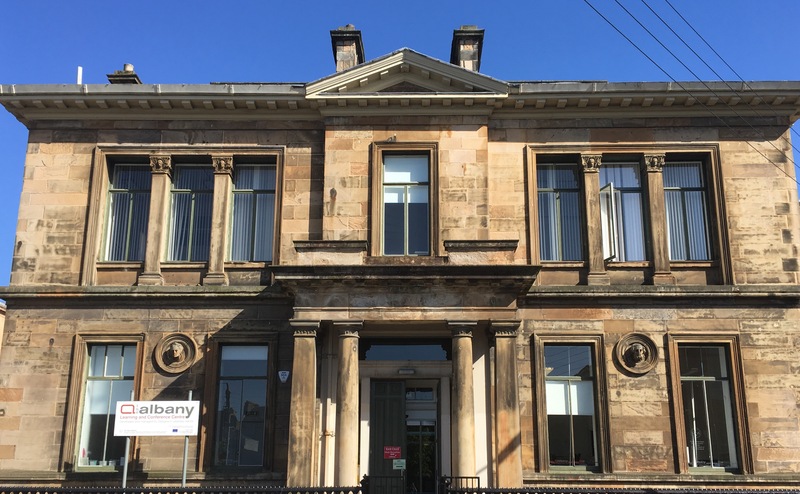 The Albany is a few minutes walk from St Georges Cross subway, and near many bus routes (Woodlands Road or Great Western Road). Pay and display parking bays are plentiful around the Albany. Note that parking is for a max of 3 hours and then you will need to move your car.